Consumer Protection BC is the regulator of a variety of sectors and specific types of consumer transactions in British Columbia. Our purpose is to license and inspect regulated businesses, respond to consumer inquiries, investigate alleged violations of consumer protection laws and educate consumers and businesses about their rights and responsibilities. Our vision is a province where all citizens of BC are empowered in their transactions as a result of rigorous and consistent business compliance and through the provision of information. In the public interest and through the authority delegated by the Province of British Columbia, Consumer Protection BC is responsible for administering three Acts and a variety of regulations. 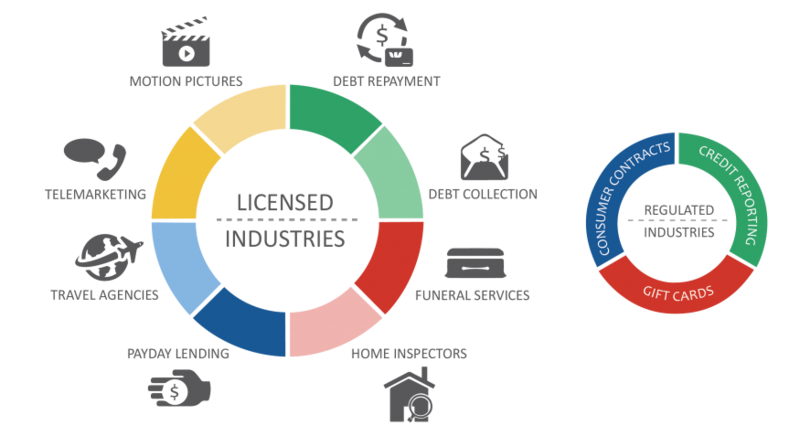 We operate using a cost-recovery model and are financed primarily through licensing revenues of the industries we regulate. Read our Strategic Business Plans, Annual Reports and Financial Statements.